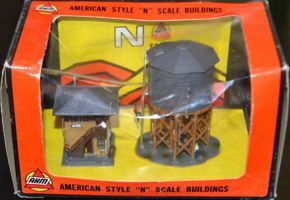 Such was his aggressive business style, which was evident in his hubris: "The Greatest Name in Model Railroading" was his motto, in spite of the fact that his products were generally at best average quality and at worst entry-level toys. Paul's penchant for deep discounting frequently gave manufacturers— as well as fellow retailers—cause for concern. 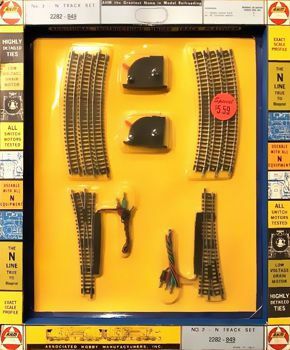 It's been said that Paul cut a deal with Woolworth to take ten thousand or so HO Scale locomotives off his hands so he could afford to sell a New York Central Hudson he'd commissioned at $29.95 each retail. 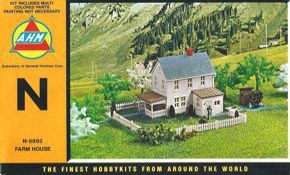 Aside from making the hobby more affordable to newcomers, perhaps one of Paul's more positive contributions was, together with Polk's, importing a great many products from Rivarossi of Italy, which popularized the brand and brought new North American items to the market. Paul also imported Minitrains from Egger-Bahn in Germany; the trains were HO narrow gauge (they ran on N Gauge track), which helped establish HOn2½ modeling in the US. Although Paul was said to have made a fortune in the business, by the late 1970s AHM had fallen on hard times. 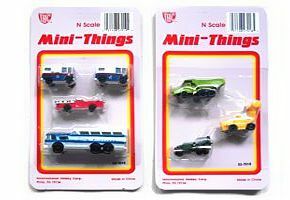 In 1982, AHM and its parent company, General Hobbies Corporation, also owned by Paul, declared bankruptcy after having just placed a very large order with Rivarossi (the order was almost as large as Rivarossi's net worth at the time). Since AHM never took delivery, Rivarossi struggled for years and was eventually forced into bankruptcy. AHM then reformed under the name International Hobby Corporation, and switched to Mehano for the bulk of their rolling stock line. In 1998, IHC attempted to sue Con-Cor and Rivarossi over a tooling ownership dispute and lost. In the early 2000s Paul became ill, and IHC went under some time after his death. 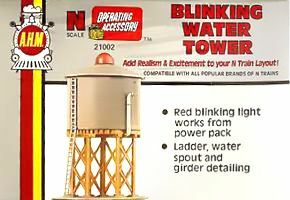 The name is now attached to a mail-order shop in Texas. 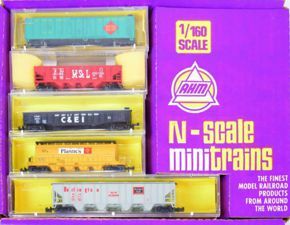 The earliest evidence of AHM being involved in N Scale is 1968, by way of an ad that showed just a few Roco freight cars—they were pushing their HOn2½ line much more aggressively. 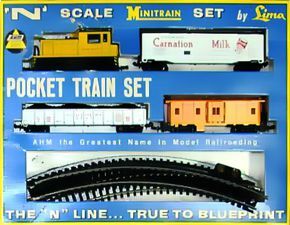 At best their promotional efforts in N Scale were meager and capricious; they branded their train sets and rolling stock "Minitrains," which is odd because it was already being used for the Egger-Bahn HOn2½ line (now made by Standard Light GmbH). 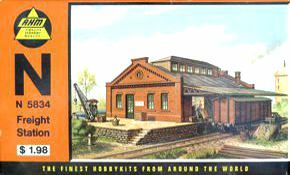 Most of AHM's first N Scale trains were made by Lima of Italy. "True to blueprint" was almost embarrassing, because Lima's products were entry-level at best. And packaging was as eclectic as the product line. 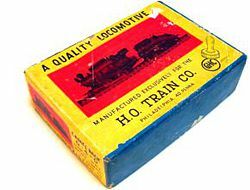 Like a number of their N Scale competitors, AHM imported Roco freight cars, which were either branded for AHM or not branded at all. They also offered a mix of structures from Faller, Pola, Bachmann and others. 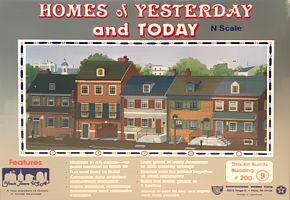 AHM's logo changed frequently, and towards the end they were reduced to selling what amounted to toy trains. 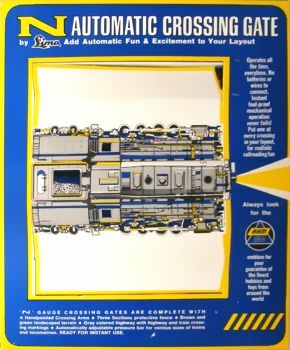 When AHM became IHC, they dropped the entire existing N Scale line and released a much smaller assortment of different items, which included some Mehano rolling stock, a series of building kits called "Homes of Yesterday and Today," presumably made by Heljan, and a bunch of Bachmann's cheap Chinese-made detail items renamed "Mini-Things."